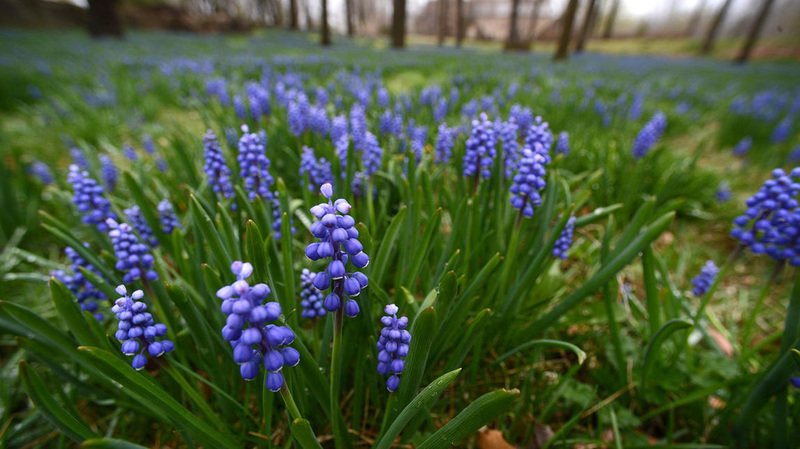 The bluebells were planted and nurtured by Mr. and Mrs. Norman Matz who owned this land for 26 years, before Lehigh County purchased this area to make it into a park for everyone to enjoy. Over the past few years, this bluebell field has been dying out due to heavy traffic on the flowers, which inhibits their reproduction and growth. In order to preserve the beauty of the bluebells for years to come, we need your cooperation to remain on the pathways created for you. 1) No large blankets in the bluebell area. 2) No sitting, standing, playing or running in bluebell area. 3) No dogs in the bluebell area. 4) Always pick up after your dog. Thank you very much for your cooperation for staying on the pathway. We can continue to enjoy this bluebell field for years to come.